What is the Message of the Day (MOTD)? 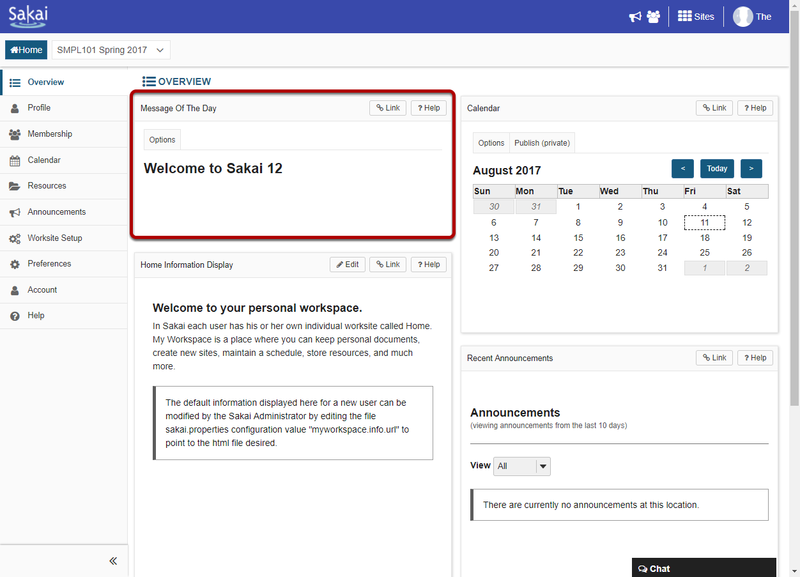 Sakai Community DocumentationSakai 12 Administrator Guide (English) Announcements (or Message of the Day)What is the admin Announcements tool or Message of the Day (MOTD)? Zoom: View the MOTD on Gateway login page. Zoom: View the MOTD in Home. Prev: How do I delete an alias? Next: How do I add an MOTD announcement?